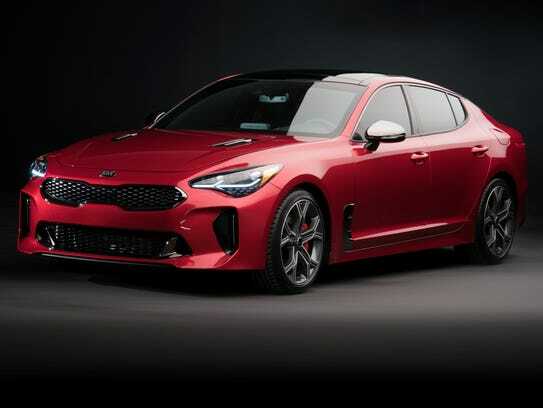 PPH WEB — Kia Motors America is new to the Woodward Dream Cruise this year and it has one big reason: the all-new 2018 Kia Stinger fastback. A pair of new 2018 Kia Stingers are parked in a display on the west side of the historic Woodward Avenue south of 12 Mile near Wiltshire. A red Stinger GT is planned to be driven up and down Woodward on Saturday for the annual Dream Cruise. 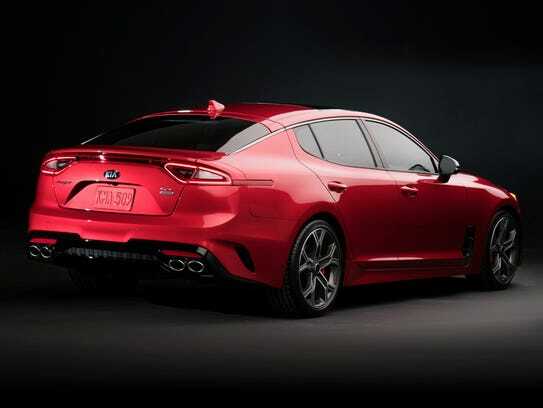 Kia is aiming the fastback sports sedan to compete in a segment dominated by European makes. The Korean automaker says the Stinger will be its highest-performance production vehicle in the company’s history. 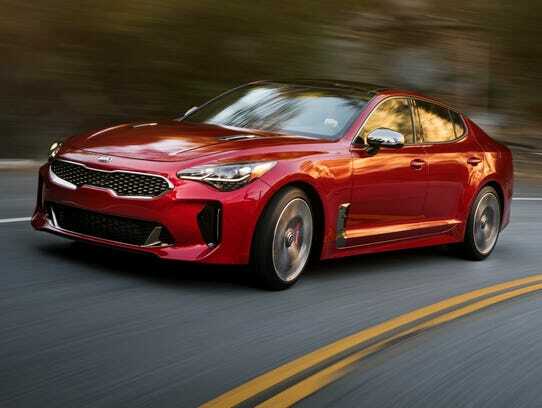 The five-door liftback Stinger GT — the top-of-the line model — generates 365 horsepower with a 3.3-liter twin-turbo V-6 engine and 376 foot-pounds of torque. That helps the car hit a top speed of 167 miles per hour and a zero to 60 mph time in 4.7 seconds. 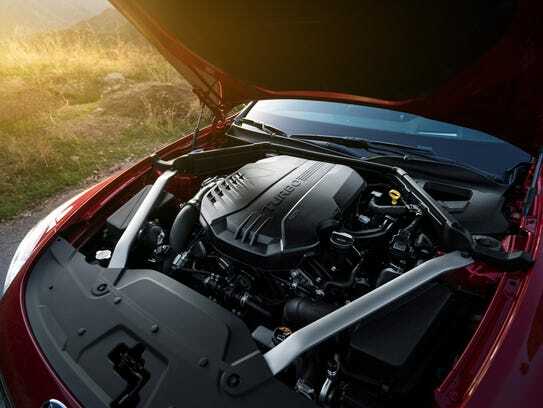 A base Stinger comes with a 2-liter turbocharged inline four-cylinder engine pumping out 255 horsepower and 260 foot-pounds of torque. The car comes with an eight-speed automatic transmission. The stylish car equipped with Brembo brakes is slated to be available to consumers late in the fourth quarter. The car will be priced from about the mid $30,000s for an entry level sedan and topping out at or under $50,000, Dunlop said. The car will come standard with rear-wheel drive but all-wheel drive also will be offered. It’s the first all-wheel drive sedan for Kia. 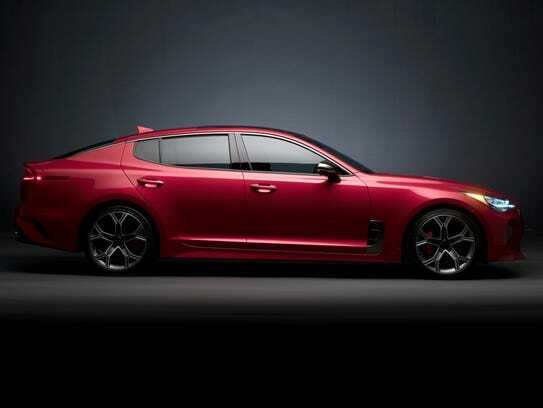 The Stinger is the result of Kia’s GT Concept Car first shown in Geneva in 2011. The Stinger made its global debut in January at the North American International Auto Show in Detroit and was well-received by media and the public. The Kia display, which is offering free ice cream sundaes and Stinger T-shirts, is scheduled to be open from noon-7:30 p.m. Friday and 10 a.m.-7:30 p.m. Saturday.